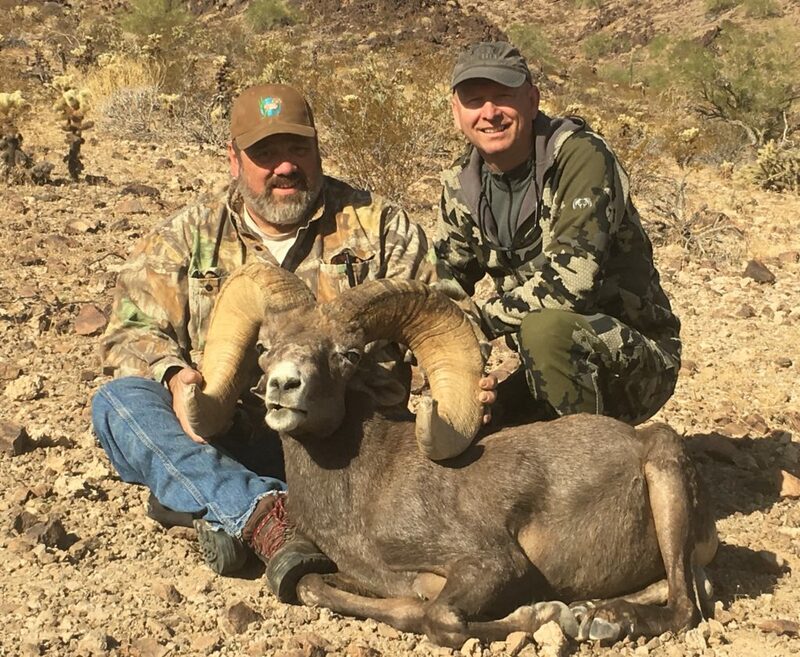 I was fortunate to guide Mr. Dave Moore of William Larkin Moore Collectible guns out of Scottsdale Arizona on his unit 44B North desert bighorn sheep hunt. Dave harvested a spectacular ram on the first day at 250 yards. 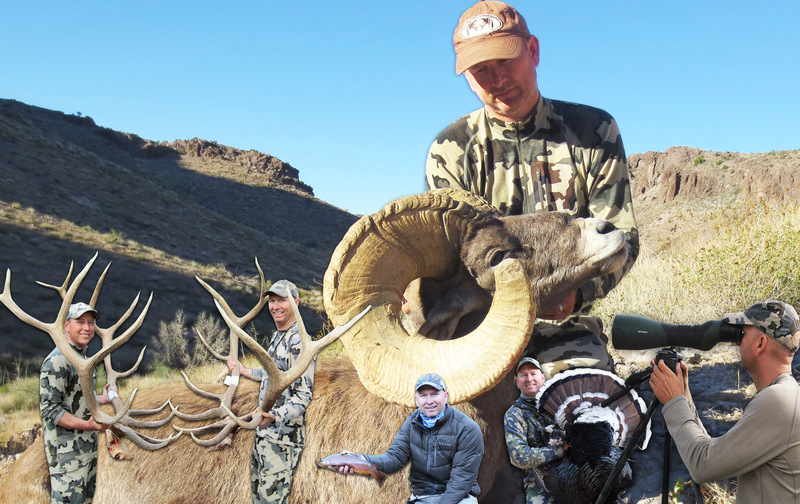 The ram was aged by the game and fish at between 10 and 11 years old. The AZGFD checkout score was 174 5/8 gross. 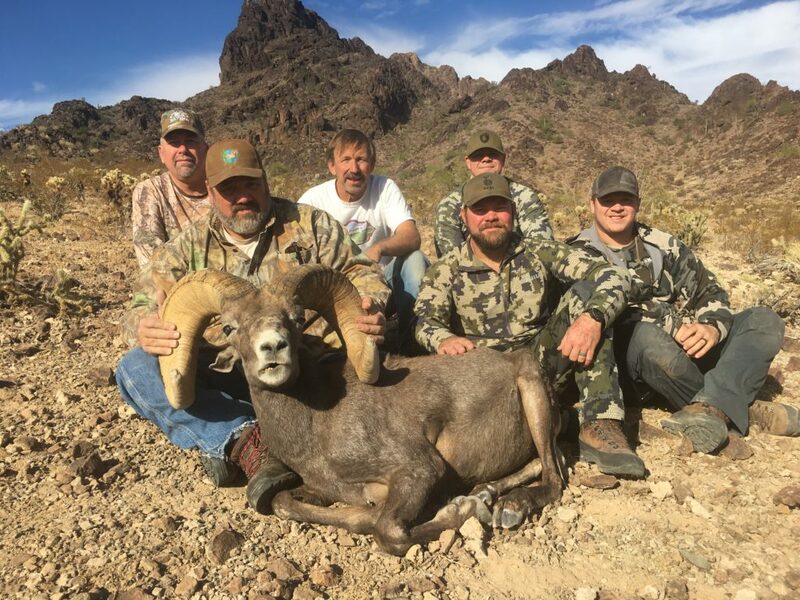 My friends Kent Inglett, Melvin Lee and Scott Fischer had been watching a really neat ram all summer. Dave ended up harvesting that ram on the first day. I want to thank those guys for their hard work and for the fun memories. My nephew Jay Pyburn was also able to go on his first sheep hunt.